Client Z asked We Love Digital to redesign the navigation and taxonomy of their core online brand touchpoint. The website contains hundreds of product pages, ten different sections, an e-commerce area and is translated in more than twenty languages. In order to create a navigation satisfying the clients’ requirements, the team engaged in research and design activities. The final deliverable was a revised navigation that optimized product discoverability and mirrored users’ mental model of the content on the website. 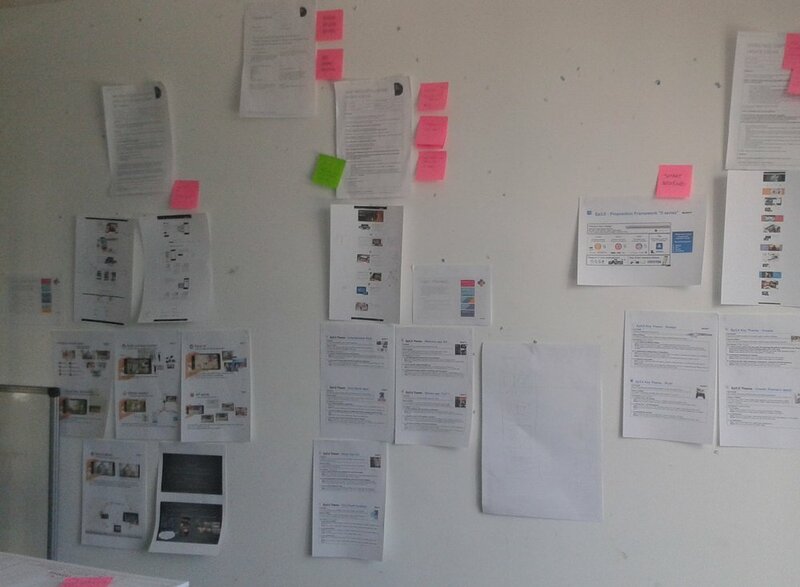 Design strategy, user research (expert review, card sorting and tree testing with optimalworkshop.com), information architecture, wireframing (pen and paper, Axure), client management. I was the principal UX Architect assigned to the project. Scoped the project and defined deliverables by assisting the Operations Team and the Head of User Experience. Conducted a content inventory and an expert evaluation of the existing navigation. Reviewed client’s past research to create an interim deliverable containing actionable findings and ‘quick wins’. Phase 2 - Card Sorting and Tree Testing. Card Sorting results as a Similarity Matrix (left) and Tree testing results as Path Analysis (right).